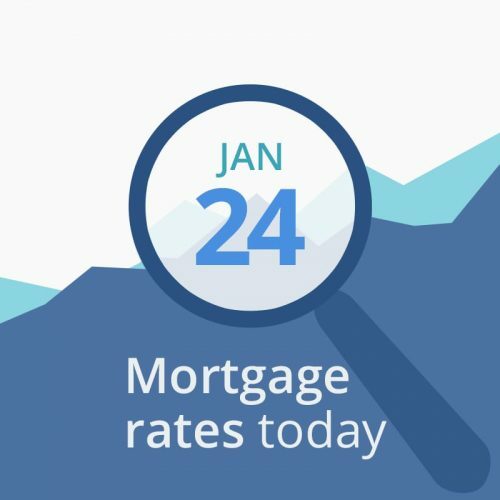 Average mortgage rates today reversed yesterday’s increases, falling back slightly. The only report we received today is of only moderate importance. Leading economic indicators for December, which tracks several metrics and attempts to predict the direction the economy will take in the near future, fell by -.1 percent. Last month, it increased by .2. This change is a good thing for interest rates. Today’s financial data are mostly neutral or good for mortgage rates. Investors and borrowers have little to go on with the government shutdown and almost no economic reporting. It appears that yesterday’s indicators represented just a blip, a small correction in the markets, and not the beginning of a long-term trend. We can exhale today. I believe that until the President and Congress resolve the shutdown, the prospect of a recession is very real. And in that case, rates will likely drop. So if I were closing soon, I’d grab my rate today while they are down. But otherwise, I would float and take my chances.